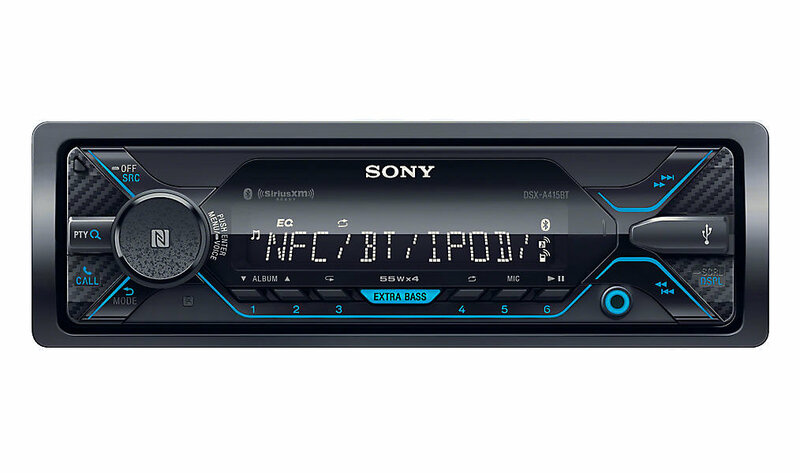 The Sony DSX-A415BT will fill your Wrangler with bass. Jeeps are not known for having good factory sound systems. Compliment the rest of your build with this audio upgrade. With a 4x55w power output, you will feel every beat and bass line as you are cruising along the road or on the trail. Keep in touch on the road with Dual Bluetooth connectivity from the DSX-A415BT. Wirelessly connect your first phone to play music, get directions and communicate with contacts. Add a second phone to make additional hands-free calls on the move. With the handy USB input, you can easily play music from your iOS device. Just plug in with a USB cable (not supplied), and you can control basic playback functions while seeing track information on the display. Compatible with Subwoofers The Plug and Play Wiring Kit is Designed for Use with Wrangler TJ Factory Subwoofers. 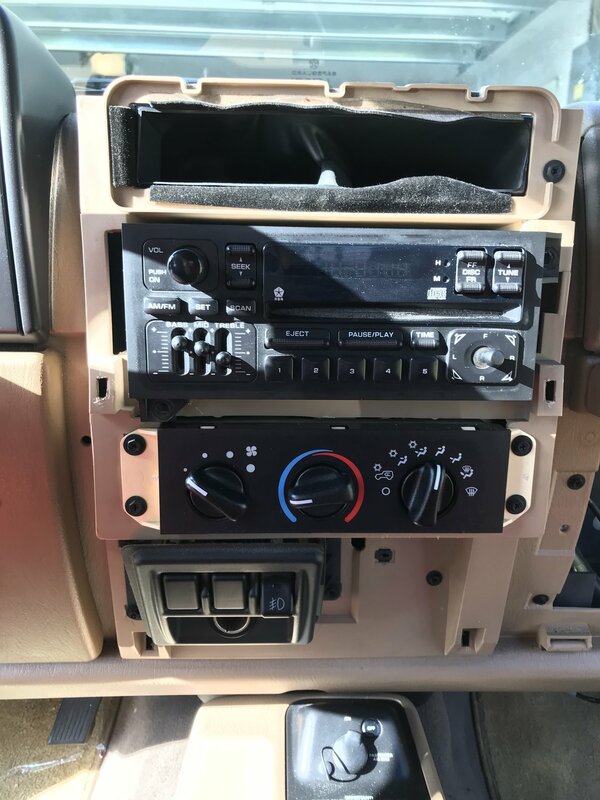 If Your Wrangler Does Not Have a Sub or You Installed an Aftermarket Sub, This Kit’s Direct Subwoofer Connection Will Still Work for You. This Stereo is Also Steering Wheel Control Compatible (Wiring Not Included). Front USB In High Charge AOA 2.0-Compatible USB. Built in Bluetooth Offers Hands Free Calling, Siri, and Android Control. Up to 2 Phones can be Connected at Once. The DSX-A415BT is Compatible with Both iOS and Android, and features Pandora, Apple Music, and Android Music Playback (AOA 2.0+MTP). Multiple Audio Features The DSX-A415BT has 5V 3 Pre-Out, Direct Connect for Subwoofer, High Quality 4 x 45 W RMS Amplifier, and Sony’s EXTRA BASS™. AM/FM Tuner The DSX-A415BT is SiriusXM™ Satellite Radio Ready (Vehicle Tuner Sold Separately). Very easy to install, looks and works great! Much better than the factory radio!! Good low price stereo. Removalable control head. 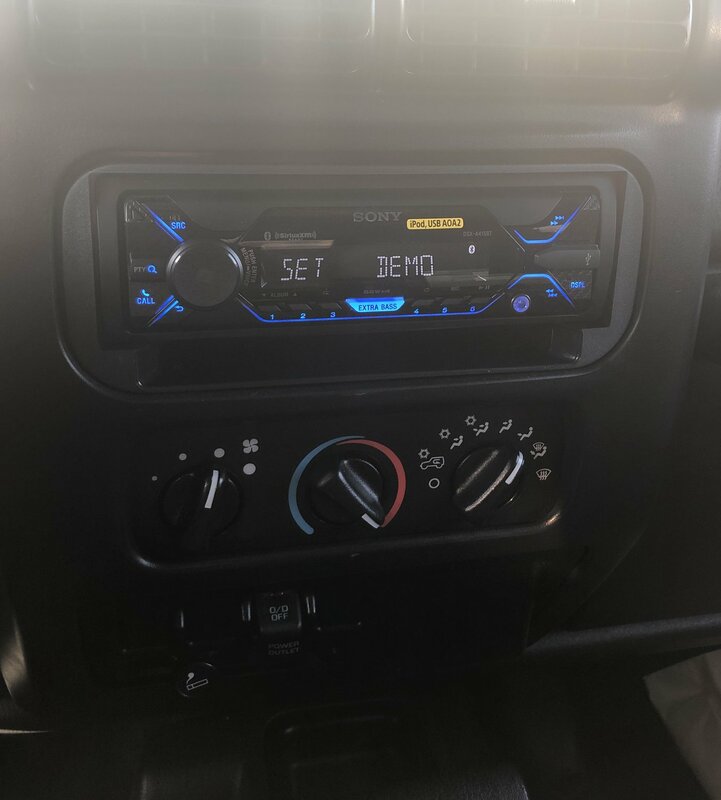 I ordered the dash bezel because I have a 2000 wrangler with original 1.5 Din radio. 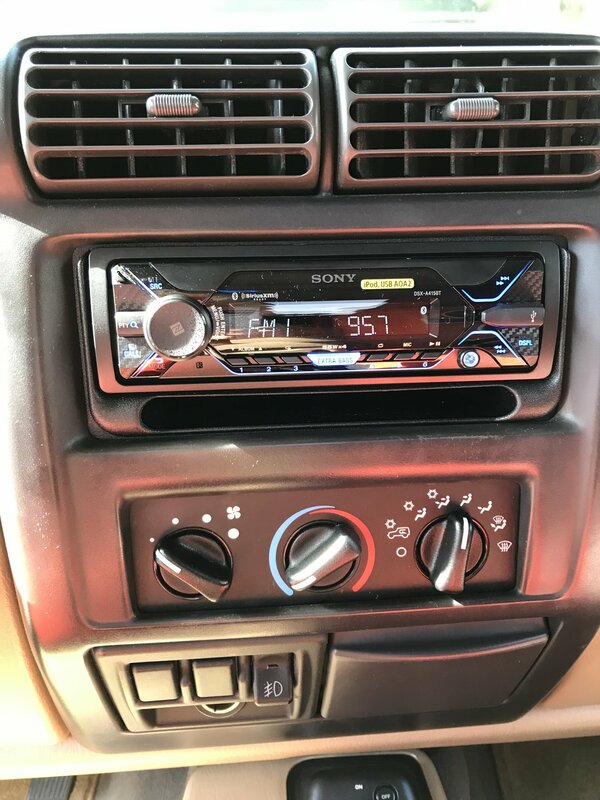 The bezel fits well and fills the extra space from the factory stereo. Note: if you follow all the directions unit fits tight and is secure. Easy install with wiring harness. Saved a ton on installation.